This is a really nice product. We do a lot of hiking and this is working really well with our dog. 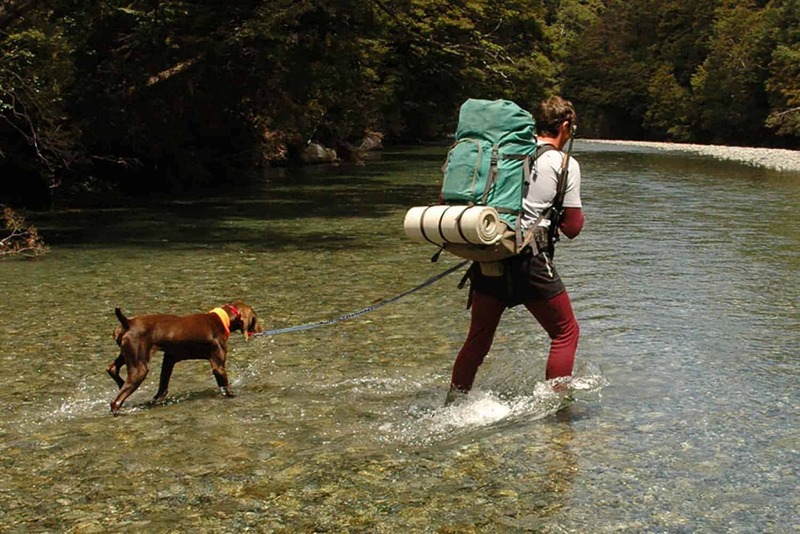 It leaves both arms free, which helps keep your body in balance when hiking through varied terrain, yet it has two handles that are easy to grab if you need to rein in your dog. The length is sufficient for a taller person with a long stride. Fantastic leash! I’ve been a dog owner for 20 years and this is absolutely the best leash I’ve ever had. The two hand holders are perfectly placed and don’t hurt my hand when my dog pulls. The bungy is strong and effective and my 85lb very fit (!) dog gets bounced back and not me! There’s a perfect loop to tie poop bags. Worth every penny. 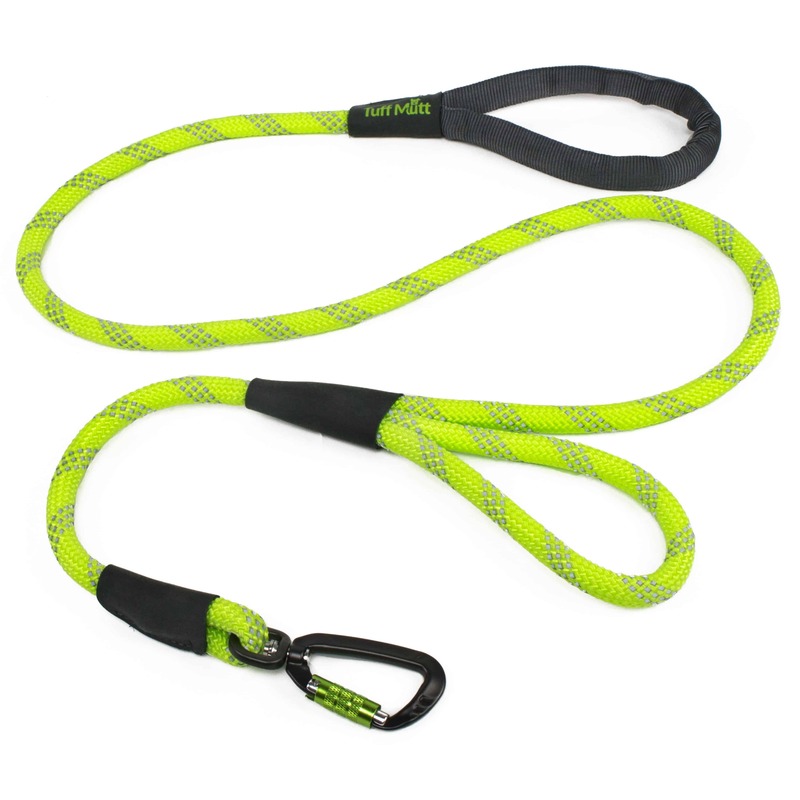 Thank you Tuff Mutt for designing a leash that handles every dog walking issue. I purchased this leash for traveling with my 110 pound German Shepherd. I am so glad I made the purchase! 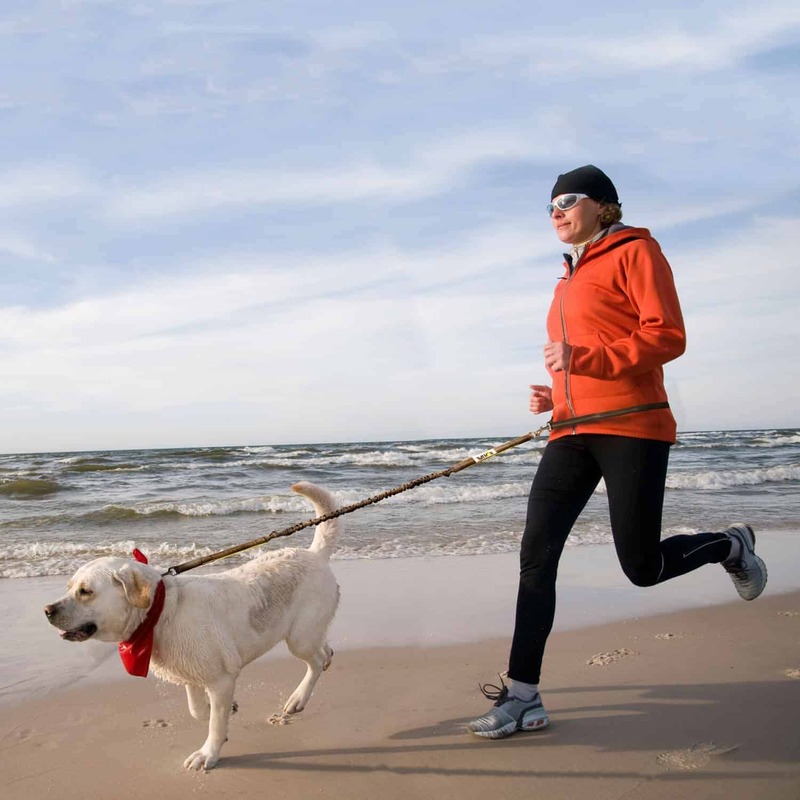 It is very easy to put on and take off both for me and my dog – so important in the varying light conditions and chaos of travel. 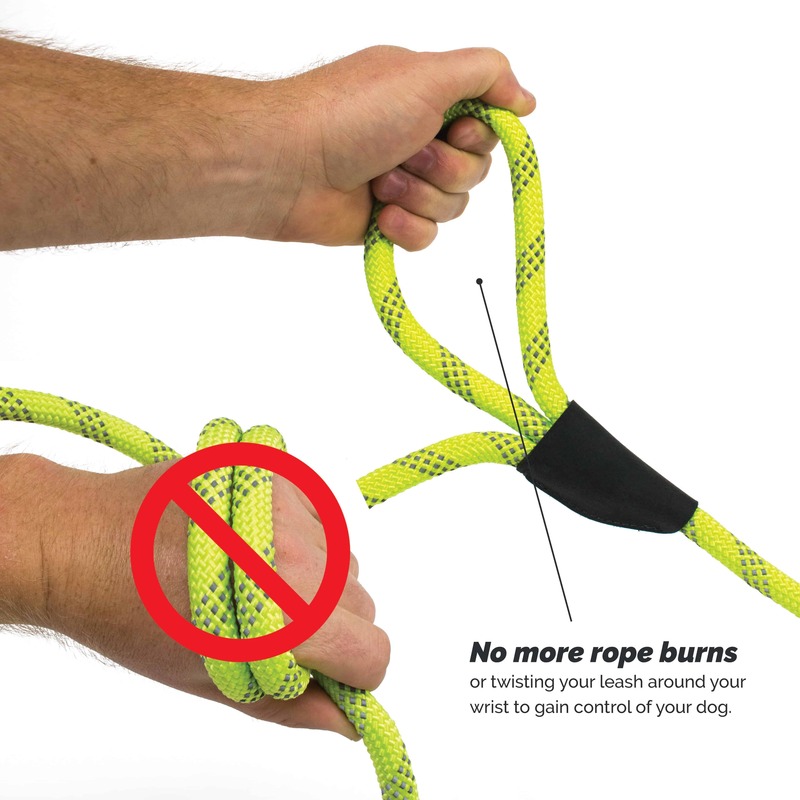 It has some unique features such as the slightly stretchy leash part prevents abrupt jerks when do you and your dog are out of sync. There is a ring on the waist belt, this allows your dog to make a circle around you without pulling on your belt. The hand holds on the leash are the perfect size to easily slip your hand in even if you’re wearing gloves or mittens. I often wear it under a tunic top, attached to my dog with his service harness on, and it is almost invisible . 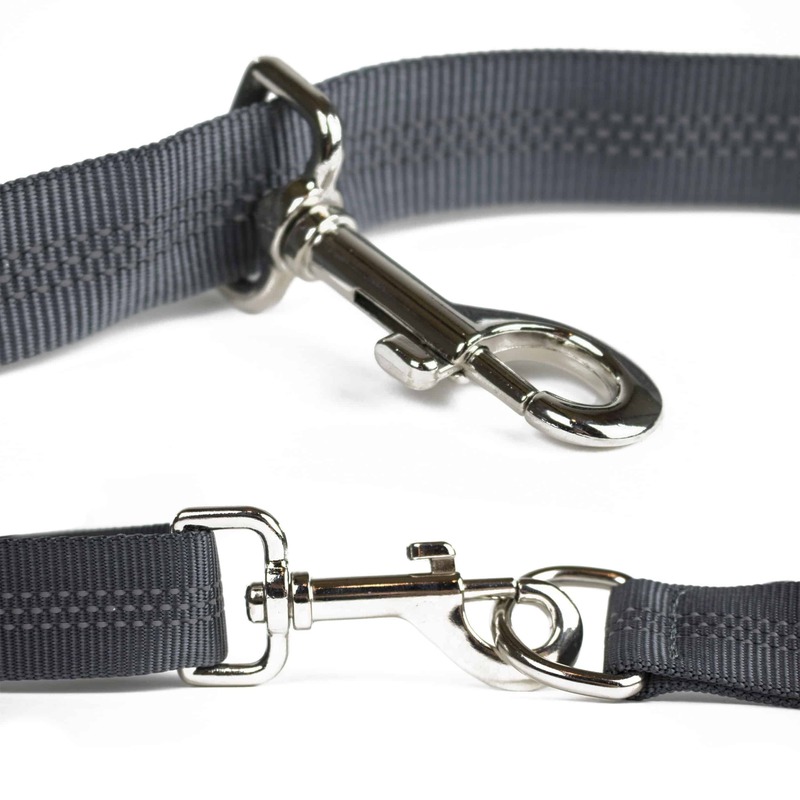 It’s the perfect length and the two handholds allow you to keep your dog a little distant or very close. We have used this 100s of times since my purchase 6 months ago, after cleaning it still looks brand-new and both my dog and I are pleased with this purchase. I love this leash. I have a small Staffordshire terrier, who, though she is small, is very mighty! I have run with her with a standard leash looped around my waist. This was very uncomfortable, as she pulled so hard that she squeezed my middle mercilessly! with this leash, she pulls, and I don’t feel it nearly as much. I wear it farther down on my hips, and though it can ride up a bit, this is a much more comfortable solution to having my guts squeezed out by a hyperactive pooch. The bungee action seems to reduce the effect of her lunging and the emergency handles on the leash have come in handy more than once when I feel the need to have her closer to me. I have tried several products for walking strong dogs that pull, and this product is highly recommended. I’ve used this for 1 run, and 5 walks with a stroller. Our Vizsla usually likes to pull when running, so I was expecting to have to spend a few weeks training him to run next to me. It only took a few minutes! He also walks better while using this leash next to the stroller than with a traditional leash. The lease is high quality, and the bungie area is stronger than I expected, which makes it feel very secure. We may have just gotten lucky, but this leash is working out great for us from the get go. This leash is awesome! 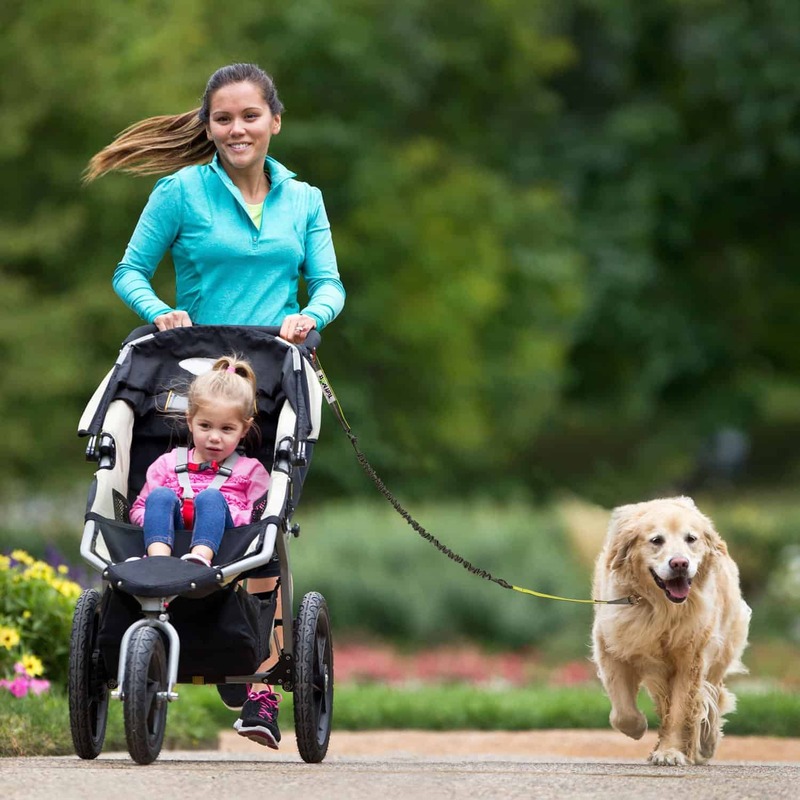 We bought one several months ago for my husband to use with 2 of our larger dogs while running. He loves it, so we just bought another one to give as a gift. It is made of quality material and is very durable. He uses it for 2 55 lb. dogs at the same time and likes to be able to grab the small handle up top to be able to slow them when needed. Definitely a great purchase! I take my 80 lb. greyhound/GSD mix for hikes and runs with this lead and on our very first run he was falling in beside me after only a minute and also got the hang of dropping back behind me to cross sides when we changed directions or crossed the sides of streets. The bungee section really makes this lead, too, as it is has enough give to absorb any force of pulling and not too much give as to encourage pulling. The materials seem high quality and the flexibility of detaching the lead from the waist band and using the loop as a handle for its own lead are the icing on the cake. I bought hands free bungee leash and the tuff mutt harness for my 47# Vizsla Talia Rose and I. Best early xmas present ever. I really like that there is a front clip and back clip option. The harness is the first I’ve found that Talia doesn’t pull and she has not gotten any rub marks under her arms. I like the two handles on the bungee leash. WE will enjoy may hours and miles of running. It’s the only way that I can walk 3 miles with my crazy shepherd Doberman 1 year old Lorenzo!! Love it! !